Stephen Bennett finds out what makes the company’s latest equaliser plug-in different from the rest. One of the beautiful things about Digital Audio Workstations (DAWs) is the ability they offer to automate almost everything. There’s no longer a need to use blunt-force de-essers and put up with that weird ‘toothless’ effect they almost always create. Instead, volume and EQ automation can be used to drop out plosives and sibilance to millisecond accuracy. Equalisation is one of the first and most useful tools available to the audio engineer and has developed from simple valve and capacitor filled hardware to a myriad of sophisticated digital plug-ins. 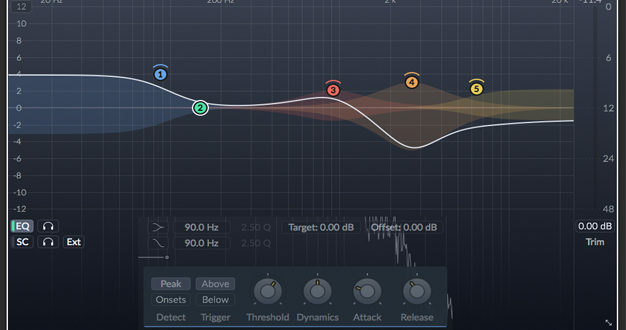 So why on earth does the world need a new EQ? Sonnox have developed an enviable reputation for high-quality plug-ins based on the Sony Oxford consoles (hence the company’s name) so any new processor from them is worth a look and the Oxford Dynamic EQ under review adds some interesting twists to the familiar equaliser paradigm. The new plug-in is a 5-band parametric based on Sonnox’s excellent Oxford R3 EQ, itself designed so that the filter’s Q reduces in width with gain, creating a softer equalisation as the level is increased. Sonnox claims that this allows the EQ to capture some of the ‘mojo’ of the hardware on which it is based. The plug-in uses Sonnox’s standard user interface, so if you’ve had experience of the company’s other programs you’ll be up and running in no time – the software is authorised via an iLok 2 or 3. The key to the plug-in’s raison d’être is in its name – the EQ can be applied dynamically to different sections of the audio. Like multi-band compressors, the Oxford Dynamic EQ splits the audio into frequency bands that can then be processed individually. Dynamically adjusting the EQ rather than the level, as a compressor does, has some advantages – a parametric EQ can have a more precise frequency adjustment than a compressor and the latter can suffer from static phase shifts at the crossover point. Sonnox claims that the Oxford Dynamic EQ can avoid these issues by utilising the aforementioned variable Q, with the added advantage that frequency bands can be overlapped. On instancing the plug-in you’re presented with a typical EQ graphical display with gain on the Y axis and frequency on the X. You can set an ‘offset’ and ‘target’ gain for each selected frequency which then creates a constrained gain zone for the EQ to work over. So, for example, if your audio benefits from a boost at 5kHz, but the level occasionally strays into the hot zone, Sonnox’s EQ will let you cool it down. You can solo each band for precise setting of the dynamic EQ – perfect for spotting sibilance – and the EQ can process in stereo, left, right, side or mid only. As you’d expect, the plug-in can work in low and high shelf EQ modes or as a bell curve parametric. EQ parameters can be set by dragging on-screen or more precisely by numerical entry and the display can be zoomed in gain steps of 12 and 20dB. The Oxford Dynamic EQ under review adds some interesting twists to the familiar equaliser paradigm." 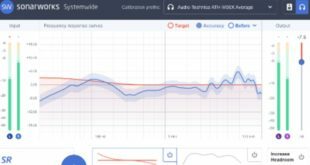 A useful addition is a FFT frequency display that shows the output of the processed signal, which is extremely useful when trying to track down specific annoying frequency glitches or you want to see the overall frequency curve when mixing. The EQ can be controlled by sidechain signals whose filter frequency can be the same as, or independent of, the EQ bands via low, high or band pass filters. Sidechain signals can be solo’d and fed with stereo or independent left, right, mid and side signals. Fine control over how the EQ reacts to the audio are set in the Dynamic controls section itself. Under Detect, the user can select Peak, which reacts to all incoming audio or Onsets, which is specifically designed to cope with sudden changes in level – which is perfect for enhancement or remedial work on percussive sounds or sibilance. The Trigger section allows the user to determine when the EQ kicks in and can be set to react to audio that is either above or below a defined threshold. When set to Above the EQ is effectively providing downwards compression and upwards expansion and when set to Below, upwards compression and downwards expansion (or gating) of the audio. The Threshold control defines when the processing becomes active and is a 10dB soft-knee type that is dependent on the trigger settings, while the Dynamics control is equivalent to a compressor’s ratio parameter and defines how reactive the band’s gain is and how strongly the EQ responds dynamically to the incoming audio. The Attack setting defines the speed that the EQ settings approaches the target gain, while Release controls how the EQ band recovers from the offset gain. What this all amounts to is that problem frequencies can be addressed only when they appear above (or below) a set threshold. 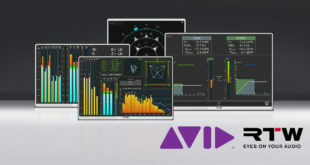 With a traditional static EQ, the entire channel will be processed even when it’s only a few milliseconds that need correcting – the Oxford Dynamic EQ lets you get all forensic with your audio while the reactive visual display makes it easy to see which frequencies are being affected in real-time. You could, of course, do something similar by laboriously (and tediously) automating multiple static EQs and compressors but, as they say, “time is money”. 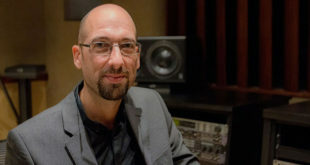 Stephen Bennetthas been involved in music production for over 30 years. Based in Norwich, he splits his time between writing books and articles on music technology, recording and touring, and lecturing at the University of East Anglia.